We specialise in producing building and architectural drawings for domestic space making projects including loft conversions, garage conversions, house extensions, orangeries, porches and more in Kent. Whatever kind of additional space you require, for instance converting your garage into a family room, making an extra bedroom in your roof space or loft, extending your house to increase the size of your kitchen, making an open plan living space, or adding an orangery, it is essential to make sure that your design is perfect. Not only will this ensure that you end up with the kind of space that you have in mind, the design is essential in order to comply with national regulations and local regulations appropriate to Tunbridge Wells, Kent. All of these types of projects are subject to building regulations and for many you will also need planning permission. Whatever kind of home extension you are considering, we will work with to ensure that you achieve the extra space that you need. We take all the pressure from you and deal with all regulatory bodies to ensure that the work progresses smoothly from concept to completion. Whatever kind of extra space you are considering we can help you transform your ideas into reality. While loft conversions, garage conversions, and house extensions are our speciality , we are happy to help you plan any kind of space creation project you might have in mind. Perhaps you are thinking of a barn conversion, converting an outhouse into living space, or any other creative way of making extra space; whatever it is we are here to help. For many people it makes far more sense to create more space in their current property rather than move home. However it isn’t always obvious what is the best way to go about it. Perhaps you find the whole concept a little confusing, or perhaps you have firm ideas on how to increase your living space. 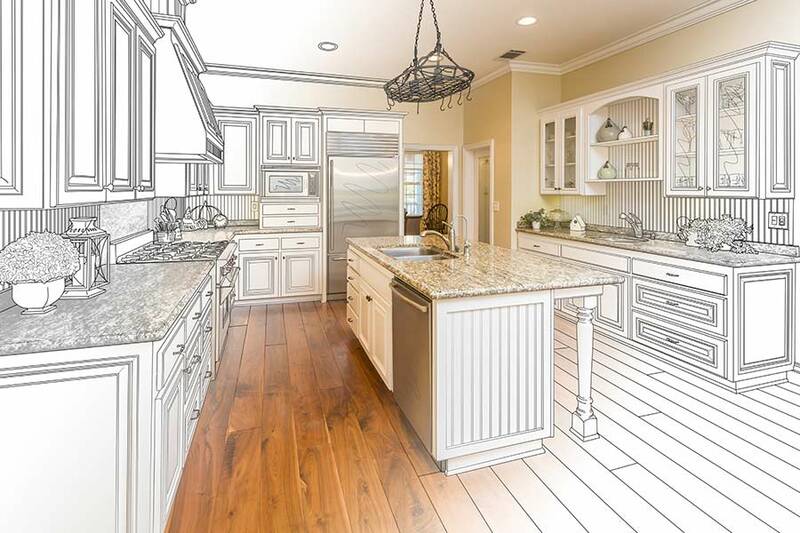 Whatever stage you are at, we are able to help you firm up your plans and create for you perfect architectural drawings using our state of art computer software. As our tag line says, from concept to completion, so talk to us; we are just a phone call away. At Total Extensions we do as our name suggests. We handle every single aspect of your home extension design.